Biocentric Extreme: We are not plants! – Creatio – Adventure in Nature. Journey in the Spirit. Biocentric Extreme: We are not plants! This story is both upsetting and bizarre, and strangely and sadly somewhat comical for many who posted comments online. I came across this from a very environmentally minded friend, who thought it was hilarious. I don’t even know what to make of it. “A Swiss newspaper named Tages-Anzeiger reports that a woman actually tried to live off sunlight. Her goal of attaining a sunlight diet was part of a spiritual quest that required the woman to give up eating or drinking, instead just soaking up the Sun and its magnificent rays. Unfortunately, she is now dead because people cannot live off sunlight. The Tages-Anzeiger is based in Zurich, where the woman purportedly lived in nearby Wolfhalden. Though her name has not been released out of respect, she was in her fifties and started her quest for a sunlight diet in 2010, after reading about the Indian Yogi who claimed to have lived off sunlight alone for over 70s years. Our investigative team debunked the Austrian documentary about the Yogi in 2011. The woman embarked on the diet after watching the controversial 2010 documentary film “In the beginning there was light,” newspaper Tages Anzeiger said today. 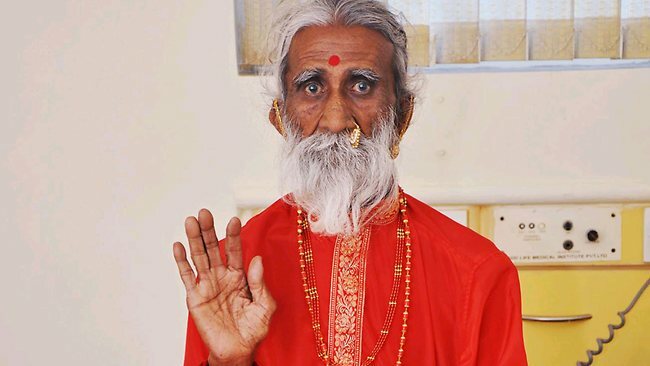 The movie centres on Swiss chemistry doctor Michael Werner, 62, and 83-year-old Indian yogi Prahlad Jani, who both claim to derive sustenance from spiritual means rather than the intake of food – a concept also known as breatharianism. Werner claims to have lived without food since 2001, while Jani told the documentary of how he had lived for 70 years not only without food, but also without water. The woman, from the east of Switzerland, saw the movie and decided to try to survive entirely on light, preparing for the process by reading a book by Australian breatharian Ellen Greve, who goes by the name Jasmuheen. In line with the book, the Swiss woman, who was in her early 50s, did not eat or drink anything for a week – and even spat out her saliva – before resuming drinking in the second and third weeks…. An autopsy showed that she died of starvation, ruling out any other contribution to the cause of death, the newspaper reported. This was the fourth known death linked to breatharianism and Jasmuheen’s books since the practice emerged in the early 90s.